Shuzo Collection is located in what used to be a sake brewery. The sake production dates back over 400 years. In the late 1800s, when the railway was built, the owner of the sake brewery Sakai Ryunosuke realized that the source of his livelihood was about to disappear. The brewery was located on the old Hokkoku Kaido, the path to old Edo – present-day Tokyo, in the Togura Post Town. But with the railway coming through, his livelihood was going to disappear. So he came up with the idea of boring a well for a hot spring, and that was the start of Togura-Kamiyamada Onsen. 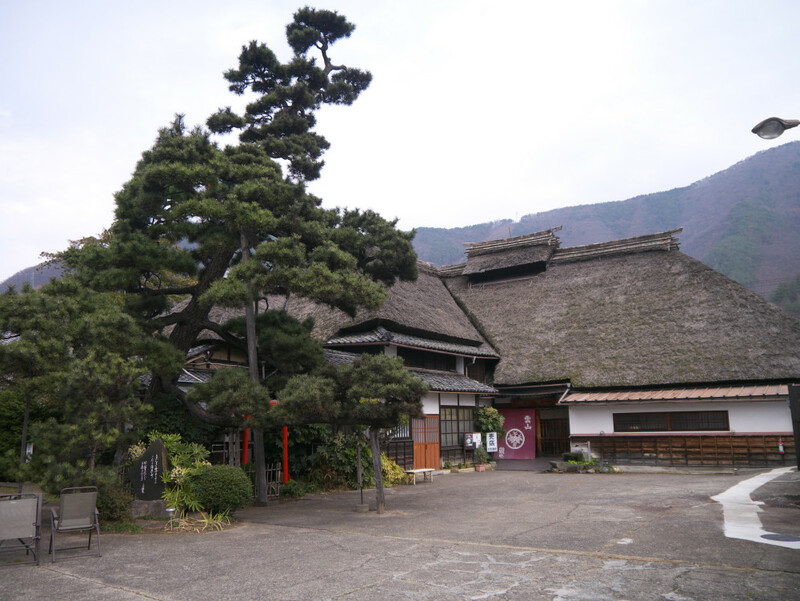 Nowadays, the original thatched-roof building is made into a soba restaurant as well as a gift shop and also on the premises you can take a tour of the old sake-making facilities. In additin there is a stained glass shop and a pottery shop, too.